In 2010 most of Haiti was destroyed by a massive earthquake. After 5,5 years still millions tons of rubble can be found on the island. Rubble is the world’s largest polluter in volume, it destroys the environment and it’s a health hazard for the people who are forced to live among it. But we think we’ve come up with a sustainable, innovative and local solution to give new function to all this rubble. 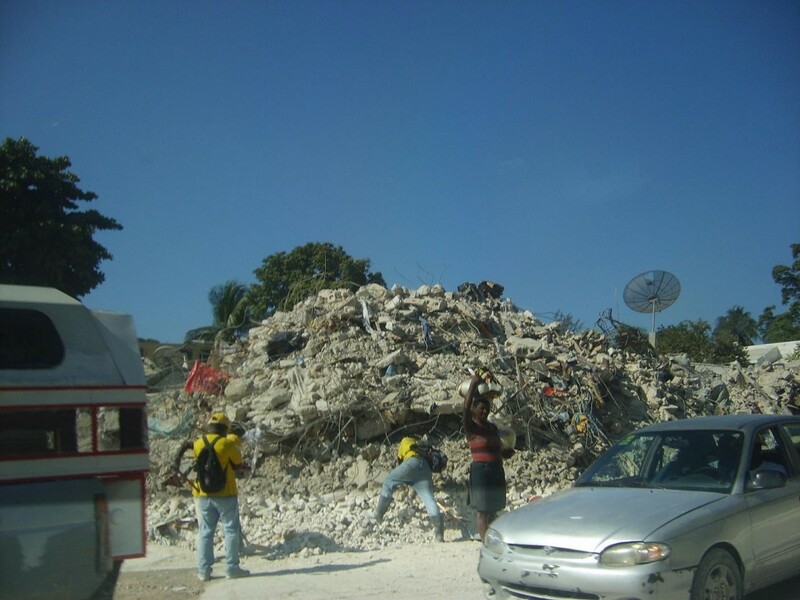 We want to prove to the world that rubble is a valuable resource, not waste. You can help us get started. By ‘crushing’ rubble during our campaign on Indiegogo.com. For every $ 1 you give, you synbolically ‘crush’ 25 kg of rubble. When you donate $5 you crush 125 kg of rubble which produces 1 building block. Does this block weigh 125 kg? No. One building block weighs 25 kg. The remaining of 100 kg crushed rubble, which we call granulate, is used to strengthen roads, build cellars, water collection systems, and most importantly, earthquake proofing the ground on which new homes are built. So, in fact, you do a lot more with $5 than you think!